Ahead the 2018 governorship election in Ekiti State, the state chapter of the All Progressive Congress (APC) has pointed out the need to reorientate and evaluate teachers in the state, saying prioritising qualitative education in Ekiti was never a mistake. Declaring support for the Competency Test organized for teachers in Kaduna State recently and insisting that the State Governor, Nasir El-Rufai was right to sack the over 21,000 that failed the test, the party maintained that poor teachers were not meant to be in classrooms. 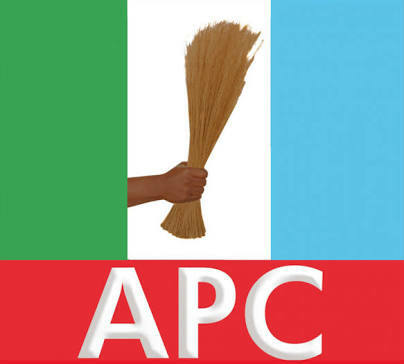 State Chairman of the party; High Chief Jide Awe said in a statement made available to journalists online on Friday, that the APC, especially in Ekiti State remained committed to the sanitization of the teaching profession by easing out unqualified teachers from the system. Chief Jide Awe, who described those criticizing Governor El-Rufai for insisting on the sack of the over 21,000 that failed the competency test as uninformed, commended the Minister of Mines and Steel Development, Dr Kayode Fayemi for providing technical support for the Kaduna State government to carry out the test. He said the APC in Ekiti State was proud that Dr Fayemi, a former governor of Ekiti State brought the consultant that conducted the competency test in faraway Kaduna State, noting that what Ekiti State lost when teachers in the State opposed the competency test, Kaduna State has gained it. He added that nothing would stop teachers in the State from writing the test should APC return to power in Ekiti State. Chief Awe said it was better to have few teachers who are qualified than having thousands of unqualified teachers teaching our pupils nonsense. The Chairman called on Governor El-Rufai not to be blackmailed by threats from the state chapter of the Nigeria Union of Teachers (NUT) that vowed to down tools if the government sacked its members. He said rather than be bothered by threats from labour unions, Governor El- Rufai should go ahead with the sack of the over 21,000 teachers and their replacement with new teachers.